Shareholders, partners, and members of limited liability corporations often find themselves in disputes with other owners, investors, or lenders. Disputes among co-owners of a business, whether partners or shareholders, can include disputes over operating responsibilities, contractual obligations, cash and spending, bills, and ownership shares. These disputes are usually very complex, involving the intricacies of corporate or partnership law. Such complex commercial disputes require aggressive, powerful, results-oriented advocacy in and out of the courtroom. The Colorado commercial litigation lawyers at Burg Simpson offer their experienced representation to every type of businesses, from Fortune 500 companies to small, family-owned enterprises. If your business is involved in a business dispute that threatens to tear everything down that you and your partners have built, call a Denver corporate litigation lawyer right now at 303-792-5595. General partnership – A partnership in which all associates participate fully in the operation of the business, are equally liable for all actions, and share equally in profits and losses, regardless of the actual contributions made. Limited partnership – A partnership in which one party (made up of one or more people) called general partners, having unlimited liability, manage the business and, another party (of one or more people) called limited partners, contribute capital and share in the profits. Limited liability company – A company in which the members and managers are not liable for a debt or obligation of the company. Limited liability partnership – These are partnerships where a partner is not liable for the negligent actions of other partners or employees not under the partner’s supervision. These are organized pursuant to an applicable statute that limits the personal liability of the partners and provides that the partnership is liable as an entity for debts and obligations incurred by the limited liability partnership. Corporation – An entity that is treated as a separate, artificial person apart and distinct from the shareholders who own it. If you are just starting a business – or your company is in undergoing a transition – you need expert legal advice. 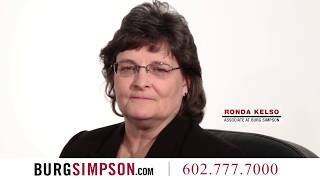 Call a Colorado corporate litigation attorney as soon as possible at 303-792-5595. We have earned a reputation as one of the premier trial firms nationwide, and we will work to bring your case to a favorable resolution, whether it takes a trial by judge or jury, arbitration, or through a negotiated settlement. Our Colorado corporate litigation attorneys are admitted in several states and federal courts around the country and have been recognized for their aggressive and effective advocacy. We are motivated to provide the best goal-oriented, cost-effective representation possible. All action taken is for the specific purpose of achieving the goals agreed to with the client at the outset of the case. We believe success comes not just by prevailing in the case, but by doing it in a way that advances the best interests of our clients. We are a collaborative law firm, made up of shareholders and senior lawyers, a former Fortune 500 General Counsel, and a former judge. We provide high-level, in-depth research, as well as top-notch writing and analytical services to our business clients. We employ a standard of excellence for all of our work, to maximize the chance of success and to give our clients peace of mind. 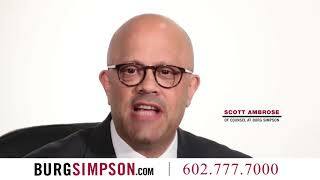 The experience and knowledge of our business trial attorneys make Burg Simpson the choice to represent your corporate, partnership, and LLC disputes. 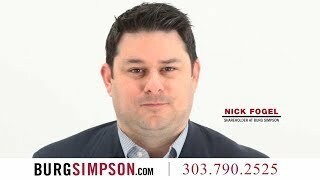 Call us right now at 303-792-5595 to speak with an experienced Denver corporate litigation lawyer.